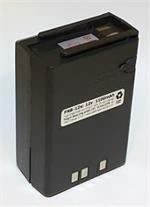 Home > Battery Eliminators > CBE-12 : Battery Eliminator for Yaesu FT-411, FT-470, FT-23, FT-43, FT-73, etc. CBE-12 : Battery Eliminator for Yaesu radios such as FT-411, FT-470, FT-23, FT-23R, FT-43, FT-43R, FT-73, FT-73R, FT2005, FT2008, FT7005, FT7010, etc. Has 12-13.8VDC cig. plug, coiled cord, & slides onto bottom of radio. Has built-in voltage limiting, current limiting, and noise-filtering. 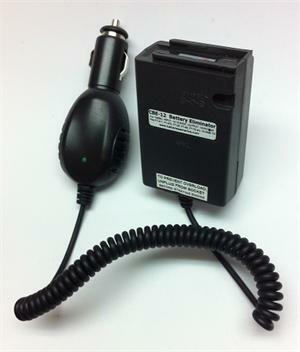 Provides mobile Hi-Watt Tx, and smooth Rx operation ! 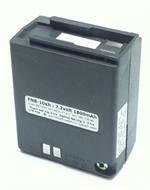 FNB-10h: 7.2volt 1100mAh rechargeable Ni-CD battery pack for YAESU FT-411, 470, 23R, 43R, 73R, etc. Same physical size as original FNB-10. Re-charges with wall Charger OR with Desktop Drop-in Charger. 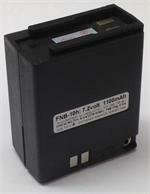 FNB-10xh : 7.2volt 1800mAh Ni-MH battery pack for Yaesu FT-411, FT-470, FT-23R, FT-43R, FT-73R, etc. 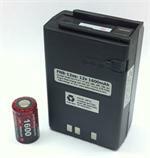 FNB-10xh: 7.2volt 1800mAh rechargeable long-life Ni-MH battery pack for FT-411, 470, 23, 73, etc. Same physical size as original FNB-10 (2 1/2 inches tall); the FNB-10xh provides longer operating time.